Oxazole blue, also known as PO-PRO-1, is a blue-fluorescent dead cell stain. This dye is a cell-impermeant nucleic acid stain with excitation/emission maxima of 435/455 nm when bound to nucleic acids. Oxazole blue, also known as PO-PRO-1, is a blue-fluorescent dead cell stain. This dye is a cell-impermeant, high-affinity carbocyanine monomeric nucleic acid stain that is essentially nonfluorescent in the absence of nucleic acids but exhibits excitation/emission maxima 435/455 nm when bound to nucleic acids. 7-AAD (7-aminoactinomycin D) is a fluorescent DNA binding dye that is membrane impermeant and therefore generally excluded from viable cells. NucSpot® 470 is cell membrane-impermeant, nuclear-specific green fluorescent DNA stain for the FITC channel. Oxazole yellow, also know as YO-PRO-1, is a green-fluorescent, cell-impermeant nucleic acid stain with excitation/emission maxima of 491/509 nm when bound to nucleic acids. Oxazole yellow can be used as a early marker of apoptosis. 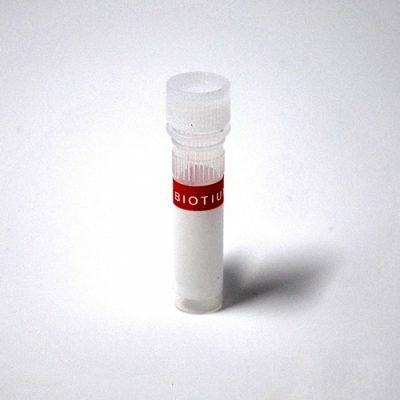 Propidium iodide (PI) is a membrane-impermeant nucleic acid intercalator. The dye is commonly used to selectively stain dead cells in a cell population and also used as a counterstain in multicolor fluorescent imaging. This kit provides two-color fluorescence staining of both live bacteria (green) and dead bacteria (red) using two dyes, DMAO and EthD-III.